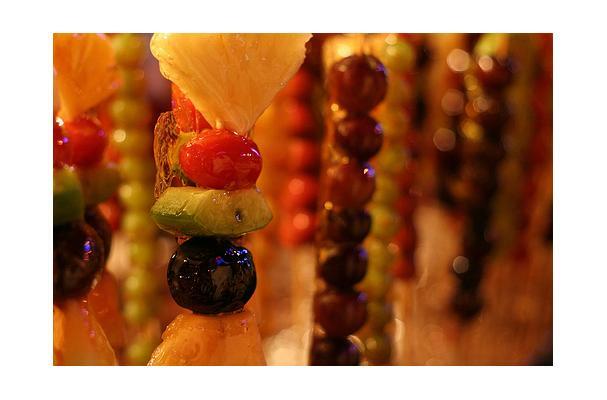 Thread 2 cantaloupe, 2 honeydew, and 2 watermelon chunks alternately onto each of 2 (10-inch) skewers. Place in a shallow airtight container; drizzle juice over kebabs, and sprinkle with mint. Cover and chill.